The most important expenses of global logistics are fleet management, driving route management and fuel consumption, and how to manag and monitor these unobvious costs as a database is an imperative issue. Additionally, creating an efficient driving route, promptly monitoring a vehicle's health status and positioning are all key factors for logistic operations. 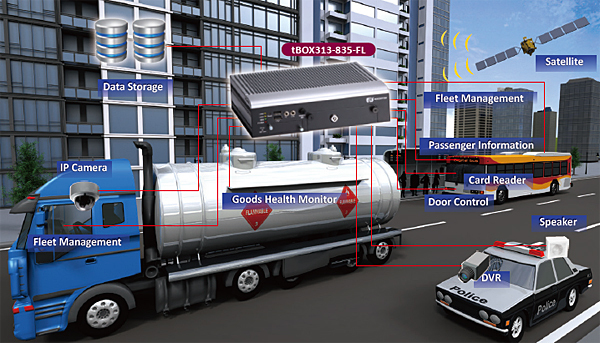 Axiomtek's vehicle PC solutions, the tBOX312-870 and tBOX313-835, can plan efficient driving routes and monitor the vehicle's payload. That data can then be uploaded to a control center and record the driver's behavior to optimize management. 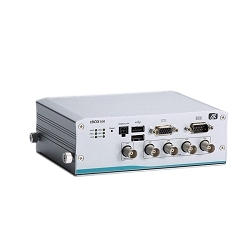 Analyze driver behaviors and optimize driving route via GPS may achieve cost reduction, also it is able to monitor on vehicle goods safety, these data will be transmitted to control center and analyzed in time. Control centers, after indicating the driver's information, instructions, delivery road conditions and real time weather information to ensure safety and efficiency, can reduce the cost of their logistic operations. 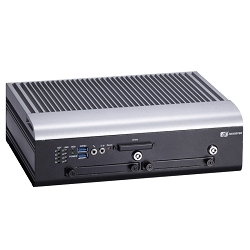 The vehicle's PC can connect with an IP camera and other vehicle components to show the vehicle health and payload status to the driver. Monitoring the vehicle's payload and driving route may reduce or avoid the possibility of disaster and ensure safety from damage or theft. 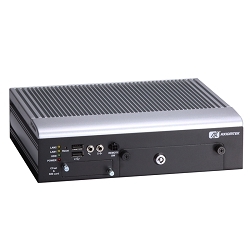 Axiomtek's vehicle PC solutions can be applied for surveillance, backing-up data and connecting with devices including card readers, air conditioning, lighting, digital signage players and door controls. Manage passenger infotainment system as easy as it can, save manpower and cost.